Drawing on his book Landscapes of Communism, in this talk Owen Hatherley will discuss the ways in which Soviet architecture and planning could be plausibly described as 'non-capitalist'. That is, whether or not cities and buildings were produced without reference to normal capitalist drivers such as property developers, landowners, business interests and capital. An influential critique made since the 1930s is that the Soviet system was essentially 'state capitalist', with the bureaucracy acting as a sort of 'general capitalist'. However, if compared with urbanism and architecture at the same time - particularly between around 1945 to 1979 in France, Finland or even the UK, strategies for doing this can seem remarkably similar. So this talk will try and find out whether this economic system created something genuinely specific in urban and architectural space through its absence of conventional monetary relations, and if so, what that was. The talk will be held in English and will take place on December 1st in the National Gallery of Art, Konstitucijos ave. 22, Vilnius. Starts at 20:00. Entrance is free. 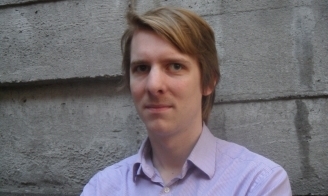 Owen Hatherley was born in Southampton, England in 1981. He received a PhD in 2011 from Birkbeck College, London, for a thesis on Constructivism and Americanism, which was published in 2016 as The Chaplin Machine (Pluto Press). He writes regularly for Architects Journal, Architectural Review, Dezeen, the Guardian, the London Review of Books and New Humanist, and is the author of several books: Militant Modernism (Zero, 2009), A Guide to the New Ruins of Great Britain (Verso, 2010), Uncommon – An Essay on Pulp (Zero, 2011), Across the Plaza (Strelka, 2012), A New Kind of Bleak – Journeys through Urban Britain (Verso 2012), Landscapes of Communism (Penguin 2015) and The Ministry of Nostalgia (Verso, 2016). He also edited and introduced an updated edition of Ian Nairn's Nairn's Towns (Notting Hill Editions, 2013), and wrote texts for the exhibition Brutalust: Celebrating Post-War Southampton, at the K6 Gallery. He lives in Woolwich. 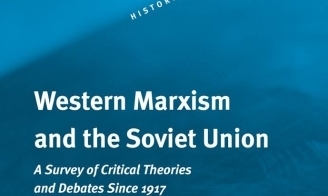 I'm recommending this book for its compendious attempt to track the various different ways in which self-conscious 'Marxists' outside the USSR tried to define what exactly the Soviet Union was. Most of them seemed to agree that it wasn't socialism or communism as they expected it - but what was it instead, what were its prospects, and - after it collapsed - what did its failure mean for anyone who thought that a system beyond capitalism was desirable or possible? Lithuanian council for culture and the Ministry of Culture of the Republic of Lithuania, Viljandi windows doors, Protectus.